Yesterday, I shared the elusive Alpha-Getti ad featuring the Alpha-Getti Gobbler. Ryan Barnett was the boy at the table who didn't say "You're the Alpha-Getti Gobbler!". Yesterday, he was kind enough to share details about the shoot and his memories of the ad. It felt kind of crazy to me that people actually remembered this ad, it was definitely a good one but it was soooo long ago! I remember that this ad ran on Canada tv for about 5 years and people loved the famous line "Your the alpha getti gobbler". I'm definitely not a big shot movie star, espescially now because I'm a Chartered Accountant at 30 years old. But I can't lie, it feels pretty damn cool! My commercial career ended in my childhood days when I lost my baby teeth and they told me that without a smile I was out of a job. I guess that's how the commercial life goes. I can't complain though, all my commercials from my younger days paid fully and completely for my University education. I don't remember anything about the kid who said the famous line but the commercial was filmed in downtown Toronto and it was a local casting so I'm thinking the kid with the famous line was also from Ontario but I could be wrong. I remember doing the ad with that big yellow "gobbler". Technology was not very updated back then and I remember that someone had to get into the suit but parts of the suits were mechanic and moved with remote control. But for the record, it wasn't all a machine there was definitely a person inside that creature. I also remember a bunch of the kids in the ad were frightened by this big device they didn't know what to expect from it and getting everyone to concentrate on the ad was a task. I'm really glad I stumbled on your blog and now hopefully the empty void of people not being able to remember the good old commercials in today's world filled with such crappy commercials can be filled. Anyways... I hope by me stumbling on this blog allows many people can relive the good old days and enjoy one of the great commercials of the past. 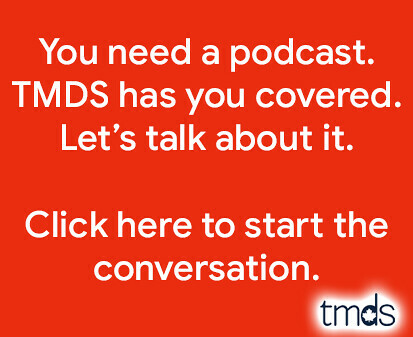 If you haven't seen the ad yet, it's right here waiting for you. Thanks Ryan, for sharing the video with me and for giving us further details about this commercial. I do remember that old school add, and I think I remember that McDonalds add with Lanny McDonald as well: ) Anyway it's good to know that some of that commercial money went to something for Ryan, and not just straight into his parents pocket. 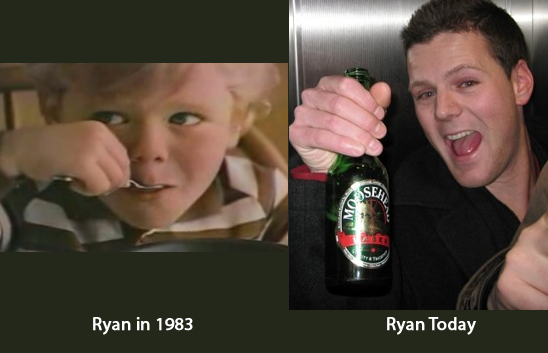 It's also nice to see that Ryan has moved on, and is now to promoting one of my favortie products; Moosehead. What a cool recollection of Ryan's old childhood actor days. Yes, so cool it helped pay for his education. And I love the then/now shots -- particularly the fact that he has really good taste in beer!